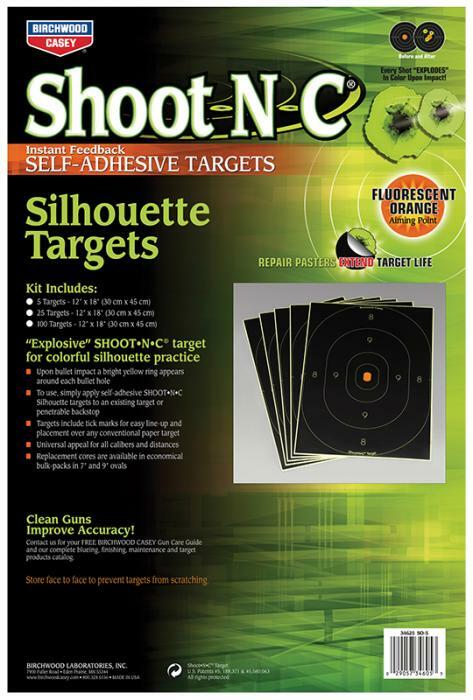 This set of self-adhesive Shoot-N-C targets from Birchwood Casey explodes in a bright, chartreuse ring of color around each bullet hole. These easy to see bursts provide instant feedback and eliminating the need to walk down range or use binoculars or spotting scopes. It comes with five 12 x18" self-adhesive targets, with 18 repair pasters on each target to extend target life.